Cantilevered to a Luberon hillside are the striking remains of an ancient oppidum and its defensive dry-stone walls; Gordes can rightly boast about its ranking among les Plus Beaux Villages de France. However, at the height of Provence’s tourist season this town, with its single thoroughfare, becomes a ghastly traffic jam, which can easily eclipse any limestone covered beauty. Hotelier Sarah Lauferon is about to change that. 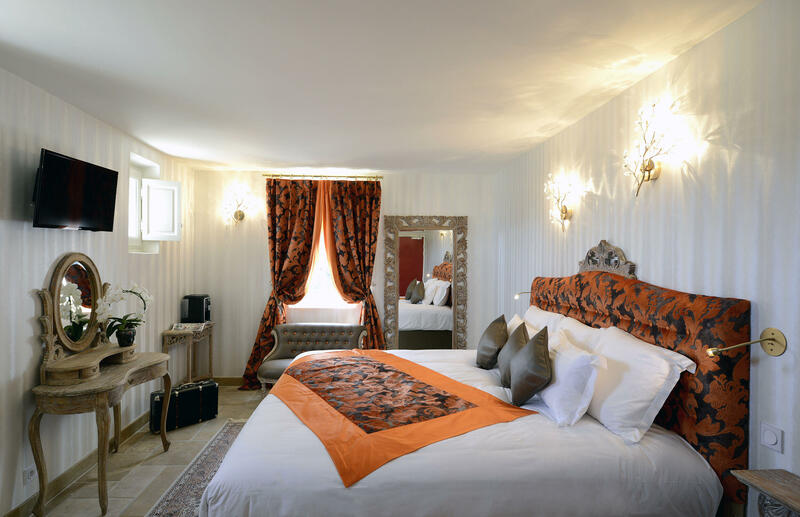 Lauferon has called her new boutique Hotel Le Petit Palais d’Aglaé after the Greek goddess Aglaea (in English) of splendour. 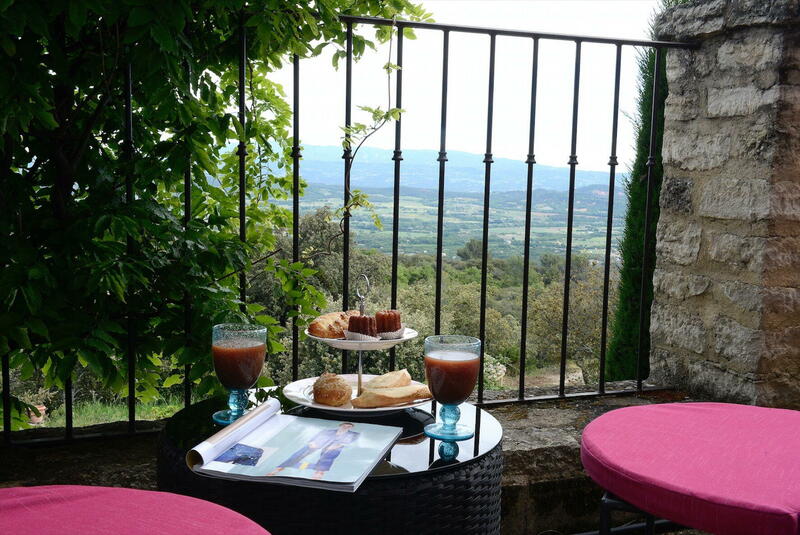 Located less than two kilometres from Gordes’ village core and 900 metres above sea level, this 16 room hotel invites guests to relax and enjoy unobstructed views of the Luberon and Mont Ventoux. 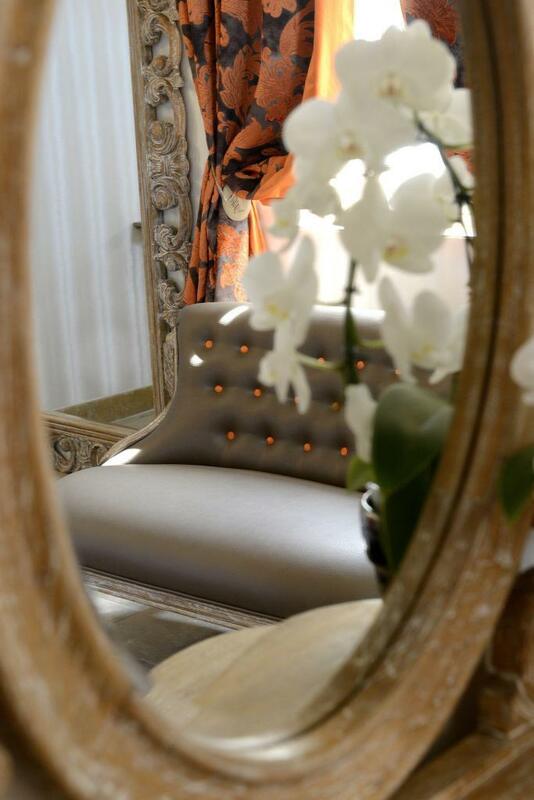 Owner Sarah Lauferon comes from a family of hoteliers; the hospitality industry is in her blood. 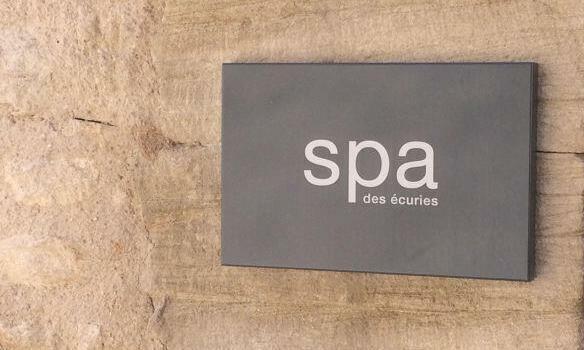 However, her work experience in Parisian luxury hotels – with no soul – almost spun her towards another profession. 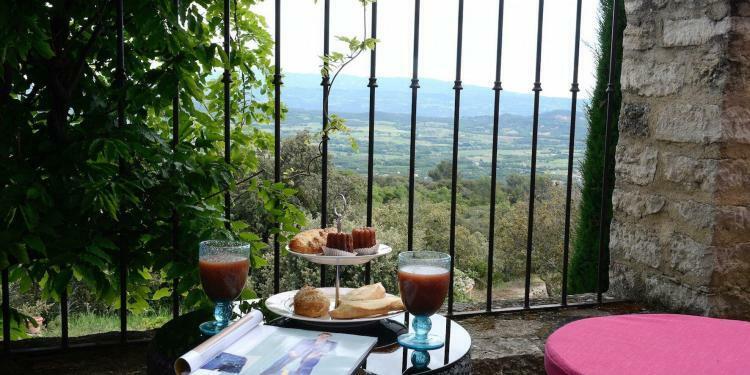 Her chance encounter with this hotel site near Gordes has stimulated her desire to create a place of rest for visitors under the banner la Collection Les Amours d’Hôtels de Charme. So firm in her vision to create a place of bien-être (wellbeing) even the tired 1970s construction and 1980s décor of this building could not turn her off. Renovation work commenced in January 2016, and the hotel opened its doors to the public in June, after a complete facelift. When I visited in July, it was clear that landscaping work remains to be finished, and future relaxation spaces are just in the planning stages, but guest rooms and common areas are complete. 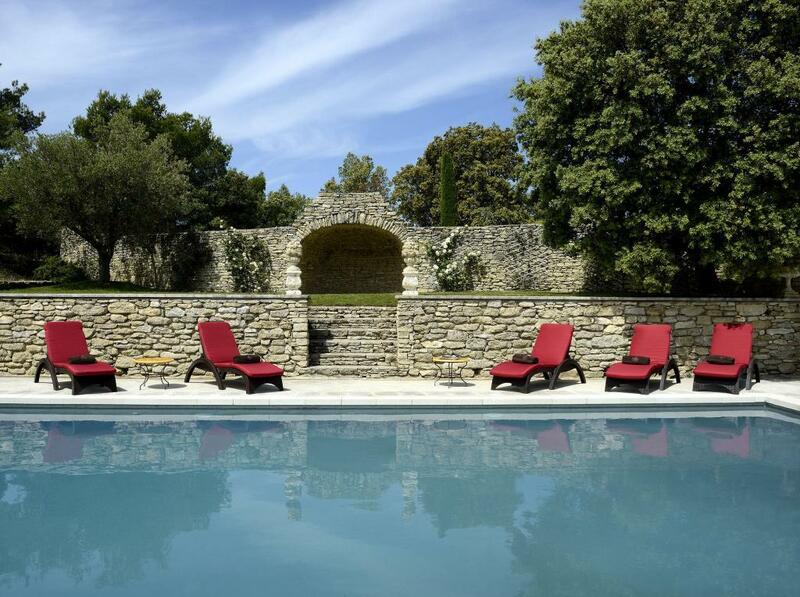 From the exterior Hotel Le Petit Palais d’Aglaé follows typical Provencal architecture with sandy limestone walls and coloured shutters, demure like its neighbours. However, the bold Italian Renaissance themed interiors shout of royal luxury. At Hotel Le Petit Palais d’Aglaé there are no cicada, sunflower or lavender patterns, instead bright, playful velvets invoke images of circus meets baroque pageantry. Each guest room has slightly different colour schemes; each one outfitted for maximum comfort with plush high-top beds and modern bathrooms. The restaurant at Hotel Le Petit Palais d’Aglaé is intimate (25 seats), with simple table settings and neutral walls offset by whimsical velvet-backed chairs. 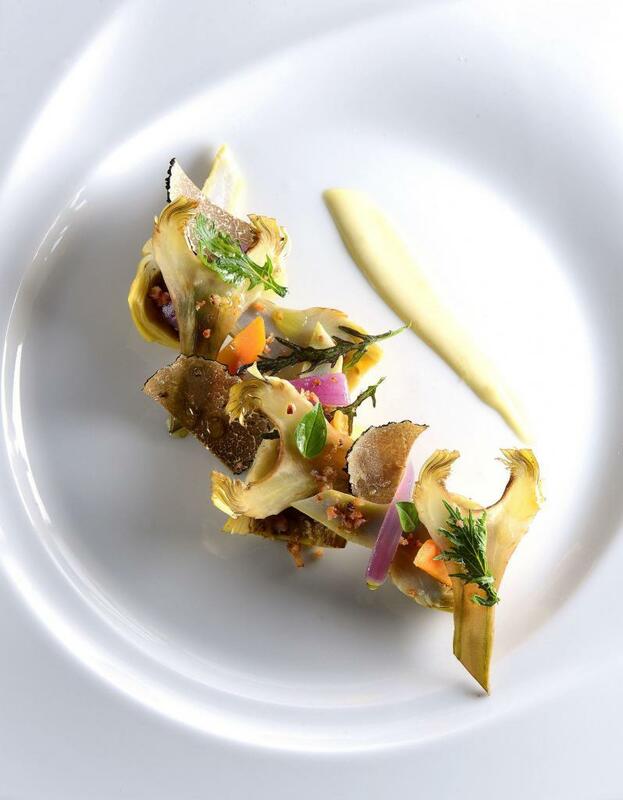 The seasonal menu is a creation of Chef Frédéric Trabuch, who trained in Michelin-starred kitchens and luxury hotels, such as La Mirande in Avignon. Eventually, produce from the potager (kitchen garden) will feature on diner’s plates, for now, the wheel-shaped garden plot is just taking root. 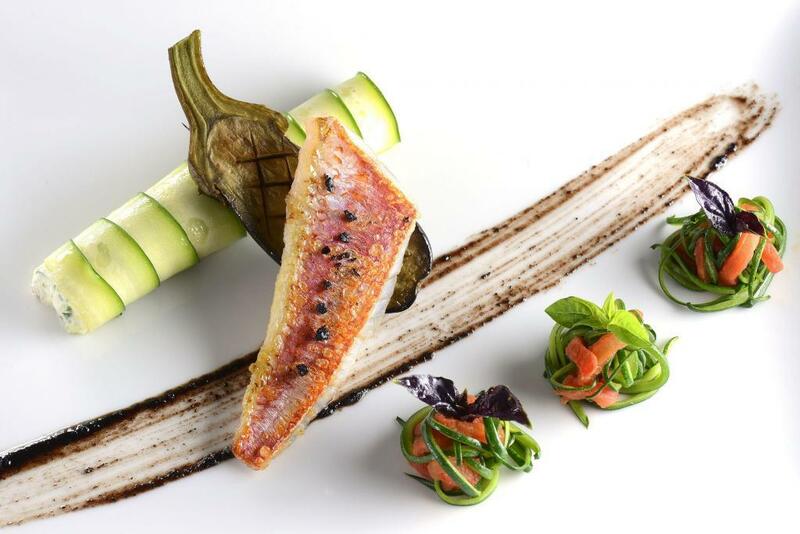 The Chef’s menu is a blend of Provencal classics like crespeou and culinary creations such as bream ceviche in a cucumber gazpacho with green apple and coriander. The pool terrace has plenty of space for lounging before, after, or instead of venturing out to visit the region. Sarah Lauferon wants her hotel to be a place of repose, made easy with several private lounging and meditation spaces around the property. Off-season, Hotel Le Petit Palais d’Aglaé is envisioned as a base to encourage, relaxation and regeneration, with plans for a future spa and programming for yoga and meditation.